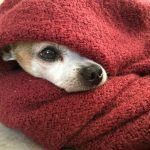 Winter months call for giving your pets a little extra love and attention to ensure their health isn’t compromised from the harsh conditions that come along with the season. Our 4-footed family members are sensitive to the cold and at risk to develop frostbite and hypothermia. Their exposed noses, ears and paw pads can freeze quickly and could become permanently damaged. It’s not all doom and gloom for them, though. With a few precautions, you can keep your pet warm and safe all through the coldest season of the year. 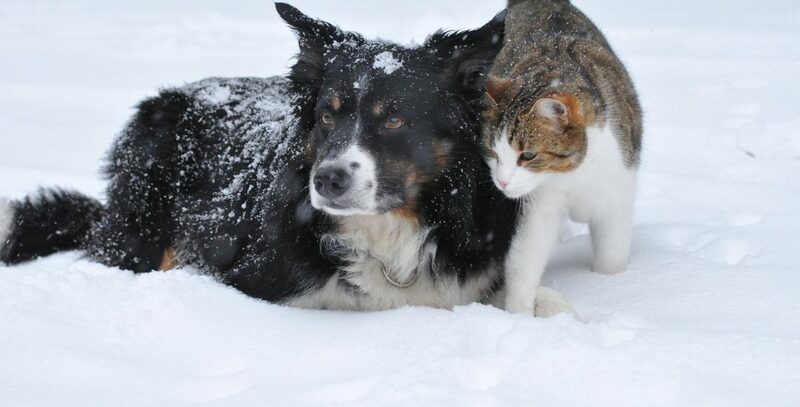 Here’s 7 things you can do to help keep your beloved pet this winter! Exposed skin on your pets’ paws, tail tip and ears are especially susceptible to becoming frostbitten. They may not like it, but put booties and a hat on Fido before taking him out for a walk. Covering up these areas will reduce the risk of damage. Antifreeze is necessity in your car, but is poisonous to your pet. It’s typical for your car to leak some after being driven leaving remnants in your driveway and/or garage. That puddle will look enticing to your pet but even the smallest slurp can be fatal. Keep your pet out of the garage and off the driveway to avoid the temptation. It’s natural instinct to want to cuddle up in a warm place and a car motor is certainly warm. Pets – especially cats – like to curl up under the hood and enjoy the warmth of the car’s motor. Sure, this isn’t necessarily dangerous — but if you start the car with him still slumbering, it can be. Make it a habit of tapping your hood before starting your vehicle to avoid a mishap. 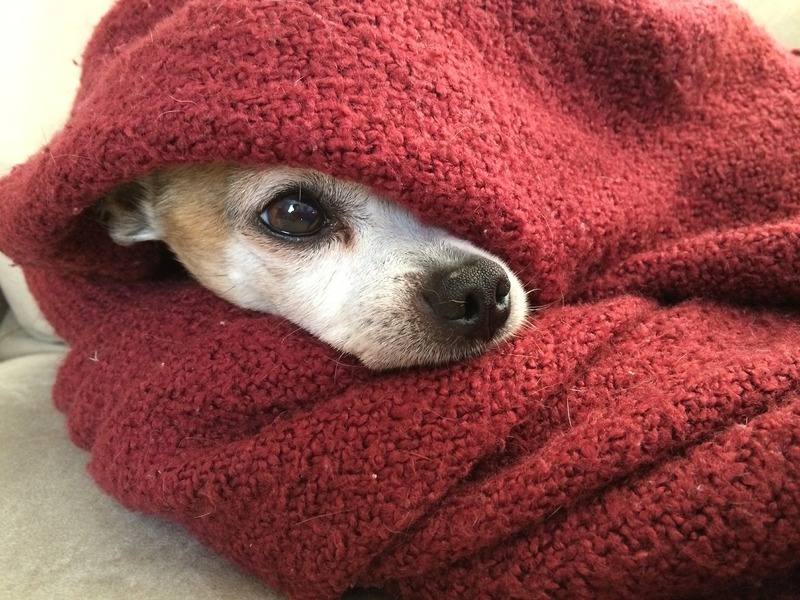 Pets, just like humans, burn more energy trying to keep their core body temperature up. Keep them fueled by feeding them a little more and ensuring they are staying hydrated. If your pet’s food and water bowls are kept outdoors or in the garage, use plastic ones as opposed to those made of metal. Their tongue could get stuck to the metal it falls below freezing. The salt and sand on neighborhood roads and sidewalks will keep the area safe for walkers but can irritate your pet’s skin. Avoiding it is nearly impossible! Before heading out for your next walk, have a damp towel near the door ready to wipe off the salt and sand that has attached itself to her paws. You’ll want to do this as soon as you arrive back to the warmth of your home to avoid it being licked up instead. As you are wiping, look for redness or cracks in his paw pads. If you find some, rub petroleum jelly on it and give us a call for additional support. This is likely to be your pet’s favorite tip to keeping him safe this winter — reduce the number bath’s you give him! Bathwater naturally removes the essential oils on his skin and can increase the development of dry, flaky skin. The good news is, that as a result of the lower temperatures, sweating and the odor associated it with it decreases, too! When the meteorologist suggests a storm is on the way and you head to the store for milk and toilet paper — don’t forget your furry friends! Be sure you have enough food, water and medications for at least 5 days in the house. Chances are you won’t need it, but why not be prepared? A little preparation now can lead to a safe winter for you and your pet! Should something happen, the team at Adams Morgan Animal Hospital is here to care for your pet!